The second chart of the week and no new games have entered this week but we do have an old favourite at number one. Rockstar’s Grand Theft Auto V has retaken the number one spot pushing Call of Duty: Advanced Warfare down to number two. Rockstar Games is working on an unannounced new-gen game planned for release sometime this fiscal year, parent company Take-Two revealed in a conference call with investors. Its 2015 fiscal year began in April 2014 and will end in March 2015. Take-Two confirmed in the call Tuesday that Rockstar has not announced any presence at E3 2014 next month. It did not provide any indication of what the game will be, whether it will represent an existing franchise or a new IP from the studio. Rockstar has not announced any new projects since shipping Grand Theft Auto V in September 2013. Take-Two CEO Strauss Zelnick said Rockstar is expected to account for 45 per cent of the firm’s fiscal year 2015 revenue. It has long been rumoured that Rockstar plans to release a PS4 and Xbox One version of GTA 5, which has shipped 33 million units on PS3 and Xbox 360. However, the company has largely refused to comment on the possibility of a new-gen release for the blockbuster open-world game. 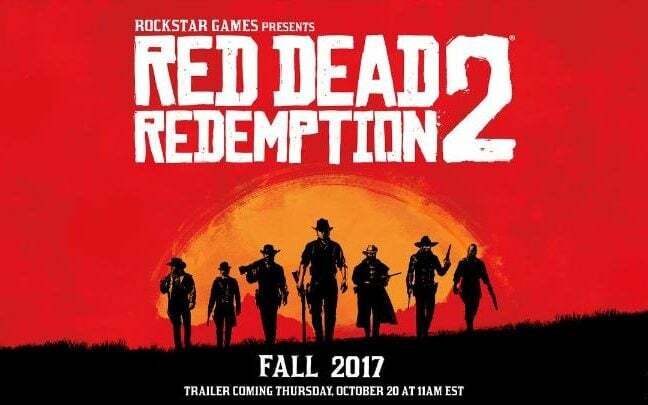 In July 2013, Zelnick referred to Red Dead Redemption as one of the publisher’s “permanent” franchises, perhaps suggesting that a sequel to 2010’s game is being worked on behind closed doors. In the same month, Take-Two filed two trademark registrations for Agent, indicating that the publisher hadn’t given up on the idea of releasing the Rockstar North game. 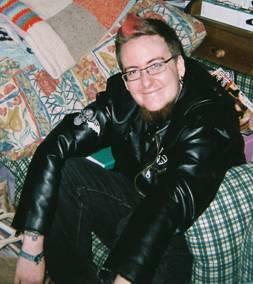 When Lee lost the ability to play video games because of spinal muscular atrophy, he lost a major part of his life. But with the help of gamer’s charity SpecialEffect, he’s conquered Rockstar’s Grand Theft Auto V.
SpecialEffect, who specialise in helping people with disabilities to experience the fun and inclusion of video games, worked with Lee to find a customised equipment setup that exactly suited his individual abilities. The charity positioned microswitches to harness the small finger movements in his right hand, and mounted two joysticks that he can operate using his chin. Before his condition had advanced, Lee had found out about the charity through a clicking on the SpecialEffect pitchside advertising board in Sports Interactive’s Football Manager 13 game. Rockstar Games is proud to announce that Grand Theft Auto: San Andreas is now available for select Android and Amazon Kindle devices. 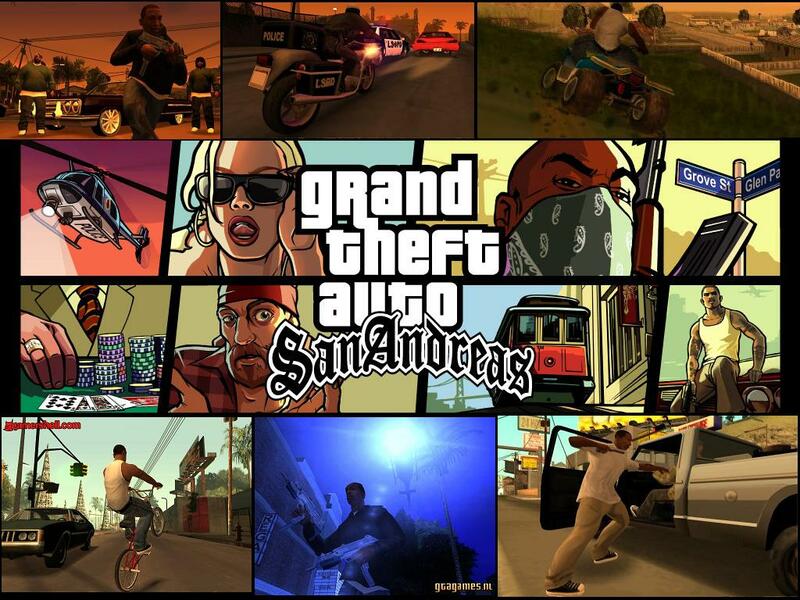 Upon its original release, Grand Theft Auto: San Andreas took the groundbreaking series to new heights, delivering three detailed cities and an entire state for players to roam. Five years ago, Carl Johnson escaped from the pressures of life in Los Santos, a city tearing itself apart with gang trouble, drugs and corruption. Now it’s the early 90’s and Carl’s got to go home. His mother has been murdered, his family has fallen apart and his childhood friends are all heading towards disaster. On his return to the neighborhood, a couple of corrupt cops frame him for homicide. CJ is forced on a journey that takes him across the entire state of San Andreas, to save his family and to take control of the streets. Grand Theft Auto: San Andreas is available for £4.99, and can be purchased on the Google Play Store, Amazon Appstore and the iOS App Store. Coming soon to Windows mobile devices. Rockstar Games is proud to announce that Grand Theft Auto: San Andreas is now available for select iOS devices. 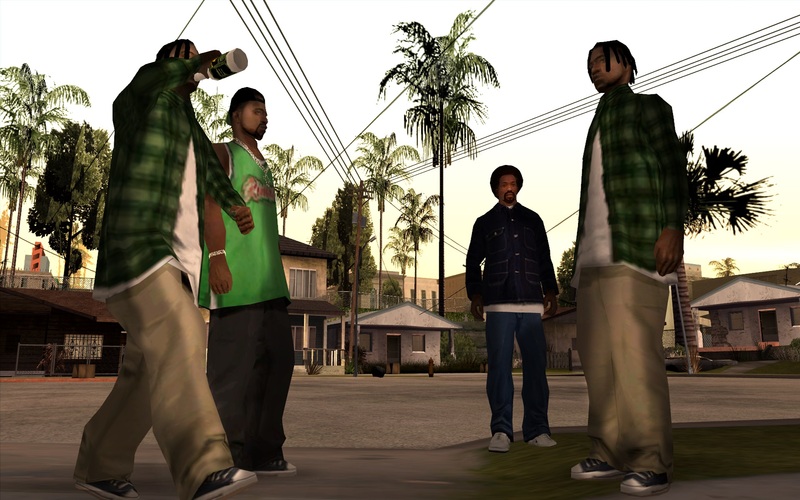 Upon its original release, Grand Theft Auto: San Andreas took the groundbreaking series to new heights, delivering three detailed cities and an entire state for players to roam. Three different touch control schemes and customizable controls. Grand Theft Auto: San Andreas is available for $6.99, and can be purchased for iOS. Grand Theft Auto V has managed to break a total of seven world record all with in a week of the game being launched. 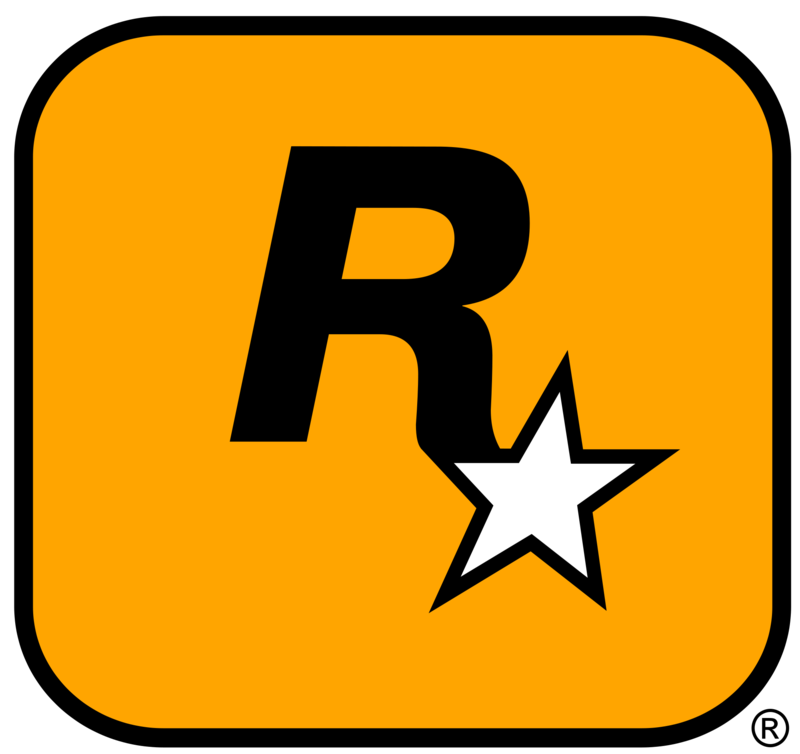 Rockstar North’s epic crime adventure previously earned the Guinness World Record for ‘most viewed trailer for an action-adventure videogame’. According to official figures, GTA 5 sold 11.21 million units in its first 24 hours and generated revenue of $815.7 million (£511.8 million), eventually reaching $1 billion (£624.45 million) in sales after just three days. Sales of the game in the UK led to a 45 per cent year-on-year increase in game sales for September, marking the first time the British games retail sector recorded an increase in spending since December 2008. A week after its release, Cowen & Company analyst Doug Creutz stated that sales had likely exceeded 15 million worldwide and were predicted to surpass 25 million within the game’s first year of release. After completing the main story line last night there is no doubt in my mind that it deserves all the attention and accolades it has been getting. I could not recommend this game more. Scotland’s video games industry, was transformed yesterday, with the launch of the Scottish Games Network, as the official industry body for the entire sector in Scotland. The Scottish Games Network now offers a single unified and strategic contact point for Scotland’s diverse games sector, as well as opening the sector up to the wider cultural and creative industries, both nationally and globally. The Scottish Games Network is open to every company and organisation involved in the video games and interactive industries. Not simply developers, but technology companies, animation specialists, audio companies, publishers, retailers, media, freelance staff, contractors, academic institutions and the government. The Scottish Games Network was established in 2005 as a grass roots sector-specific community. It has grown and evolved rapidly to become the recognised organisation and focal point for the country’s video games industry, with over 90 game development studios, more than 130 games-related companies and around 5,000 individual members across multiple channels. Scotland has a unique infrastructure, differing from the rest of the UK. There are over 35 commercial, cultural, educational and academic organisations across the public and private sectors in this country, which are actively involved in the games and interactive sector. The Scottish Games Network is keen to work with all of these organisations and companies, building greater collaboration, communication, understanding and opportunities for Scotland as a whole. The SGN will also work closely with the existing video games industry bodies, creating links, affiliations and memberships, sharing information and ensuring collaboration wherever possible. Scotland’s games industry has been a pioneer since the late 1980s, when it boasted six studios producing titles including Lemmings, Grand Theft Auto, Crackdown, HEDZ, Formula 1, Braveheart, Midnight Pool, Harry Potter Quidditch and many more. Since then the industry has grown to nearly 100 independent studios, producing titles for every platform and device from smartphones and tablets to the next generation of games consoles. 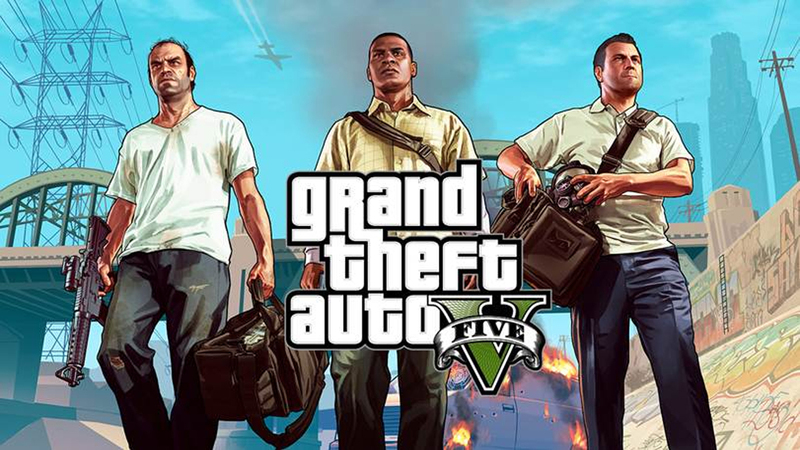 This includes, Rockstar North, the creator of GTA V, the largest entertainment product in the world, which generated over $1Bn in sales in its first three days on sale in September 2013. In 2012 there was at least one game released every week by development studios in Scotland – and that number is growing. Founded by Brian Baglow, the network is now an officially incorporated organisation, with Brian as Director. 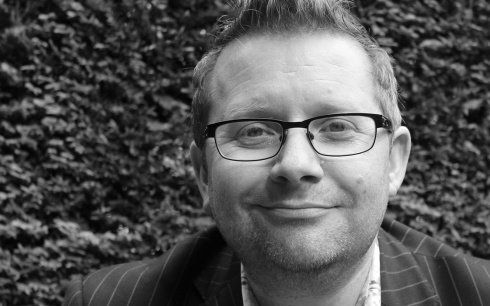 Brian has worked in the games industry in Scotland since 1994, has been a constant advocate and media presence in the sector, and has worked with almost each and every company, organisation, educational institution and industry-relevant event in the country. 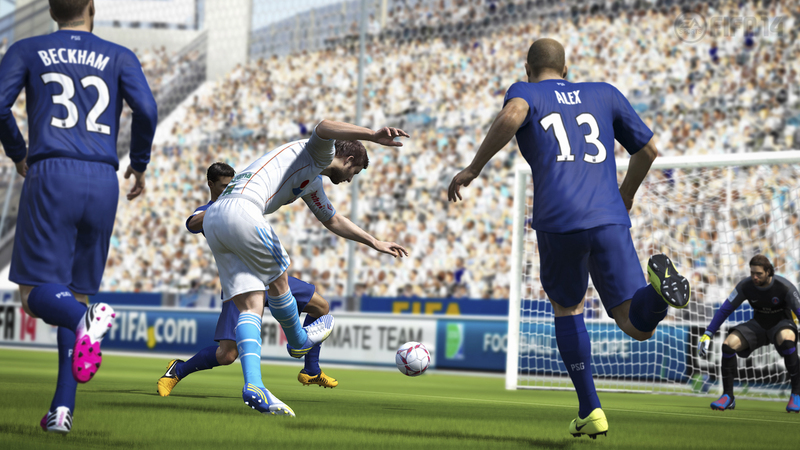 FIFA 14 remains at number one, holding off GTA V for a second week as the gap between the two closes to around 31K units. GTA V has to settle for second place, but can content itself with the knowledge that after just three weeks on sale it has already eclipsed GTA IV’s lifetime total to become the 12th biggest selling game of all time. It’s even more impressive in terms of revenue, as GTA V now occupies the number five spot behind 4 Call of Dutys, almost equalling the total of Call of Duty: Black Ops. Despite 4 new releases in the Top 10 there is still a large sales gap between the Top two and the rest of the chasing pack. Codemasters/Namco Bandai have this week’s highest new entry with the multi-format F1 2013 debuting one place ahead of Nintendo’s The Legend of Zelda: The Wind Waker which re-appears at number four thanks to an enhanced HD version for Wii U. The other newcomers are NBA 2K14 at seventh and Just Dance 2014 at nine. Half the Top 10 this week is made up of sequels to games that were in the Top 10 the same week last year. Today a small downloadable title update will be released on PlayStation Network and Xbox Live. Once installed, you get direct access to begin GTA Online, which will be unlocked in the GTA5 game menu. It’s set a few months prior to the events of GTA5’s single-player story. To prevent griefing, Rockstar has designed house party invitations specifically to be a friendly social affair where players can visit each other’s houses without fear of having them ruined or losing their vehicles. “If someone invites you into their property, then it is considered a friendly visit and you will not be able to shoot up their place or steal their cars from their garage,” Rockstar said. Rockstar then, again, addressed the thorny issue of GTA Online micro-transactions, which was revealed last week. “To allay some concerns we’ve heard on this subject, we can assure you that the game is designed such that the option of purchasable GTA$ should not disrupt the playing field – and there are a few mechanics in place to help ensure that,” Rockstar explained. “All players still have to rank up with Reputation Points (RP) in order to get access to purchase high-end items. No one can begin GTA Online and simply spend a lot of money out of the gate to get a leg up. You will have to earn your stripes and play to unlock access to the aspirational clothes, guns and other items. Rockstar also pledged to tweak all areas of the game to make I fairer and iron out any balancing problems.